Travels to Connecticut, some parts of New York, Massachusetts and Rhode Island. Please call if you are out of CT. 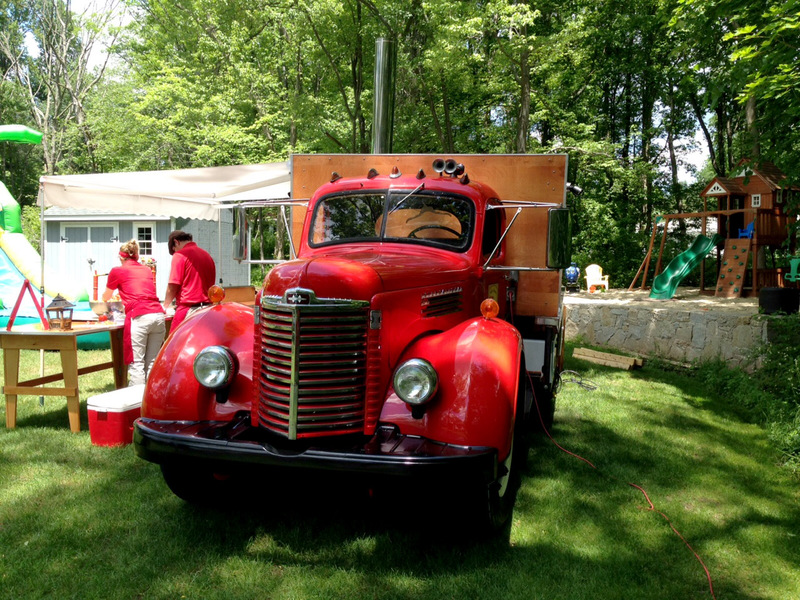 The New Haven Pizza Truck mobile pizzeria is a converted 1946 International Harvester fire truck, customized to include a wood fired brick oven, cappuccino machine, refrigeration and even a kitchen sink! 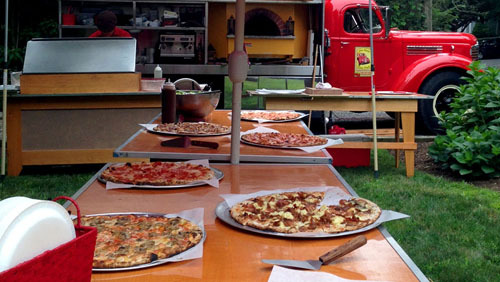 This mobile kitchen allows us to easily pull up to a location, quickly preheat our oven, set up tables and deliver quality service (and pizza of course!) to your guests, and allow you to enjoy your party without any worry about the meal! The wooden sides of the truck turn into table tops, the legs fold up and are stored on the back of the truck. To power the truck, we have an on board generator, but can also plug into a normal wall outlet during the event. 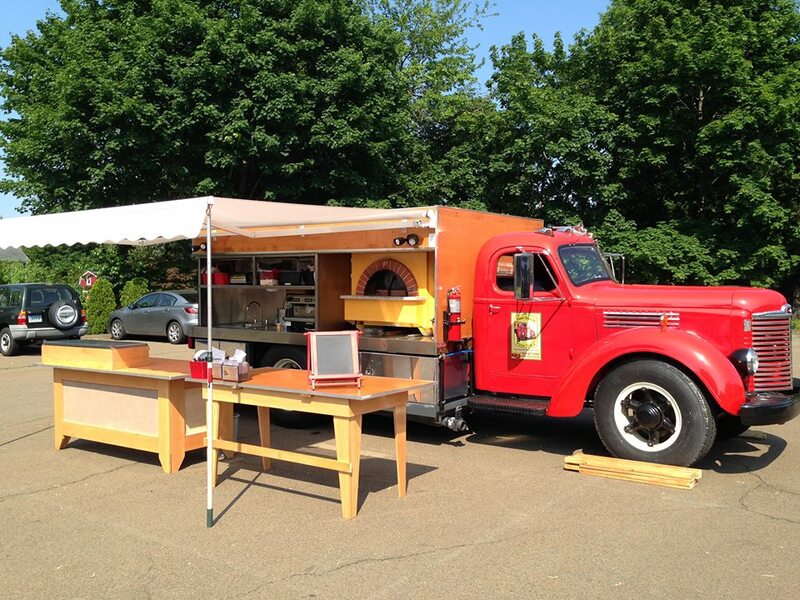 The New Haven Pizza Truck is available for parties of up to 125 people for ALL AGE GROUPS FROM 0-100! Their menu is a guaranteed success. Serving an astounding variety of freshly baked, thin crust pizzas, guests will be able to serve themselves from as many types of gourmet pies as they desire. Special requests are welcome and their amazing toppings bar make the flavor combinations almost unlimited. Pizzas are paired with a traditional green salad, delicately tossed with balsamic vinaigrette. For dessert, an assortment of gourmet gelato is served with freshly brewed cappuccino and espresso.